No school next Friday April 19, 2019 and Thursday April 18 is a half day-parent teacher conferences in the afternoon. Reminder-Tonight we will have our Spring Family Dance from 6:00-7:00. There is a flyer that is below that also went home with students yesterday as a final reminder. Aside from makeup testing, our IAR assessments have been completed here at Lincoln. Students did a great job of staying focused throughout these past two weeks! We appreciate the support we received from families in getting students here on time, with a healthy breakfast and well-rested! Our 3rd-5th-grade students showed persistence and resilience over the seven days of testing. They maintained a positive attitude throughout the past two weeks. Our kindergarten – 2nd-grade students were respectful of our testing environment. 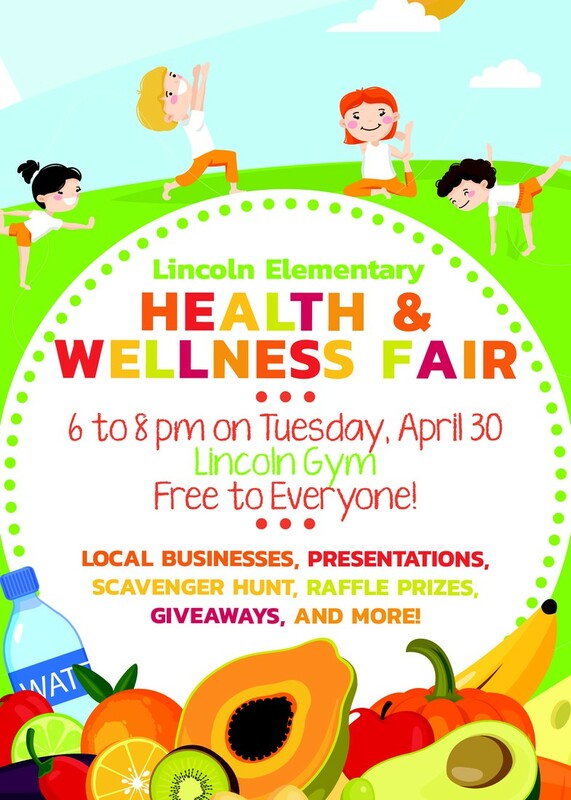 We are all so proud of our Lincoln students! 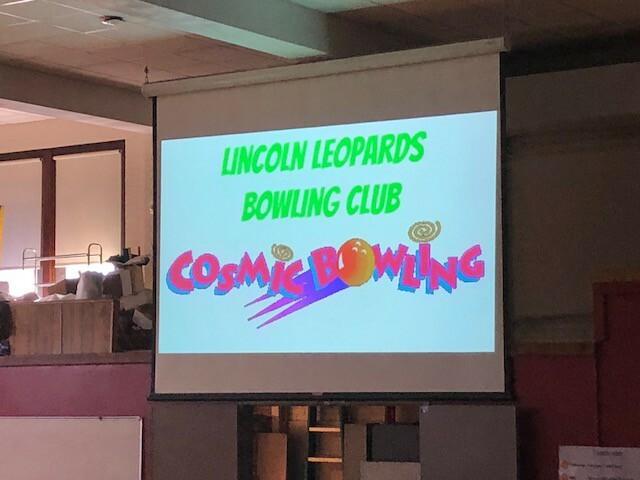 In addition to testing this week, we have had many fun experiences for our Lincoln students. 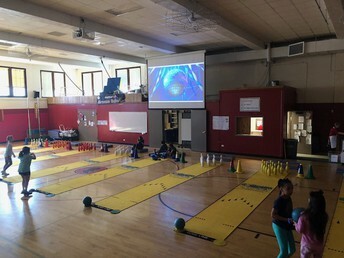 Mr. Navis has been teaching bowling in PE. He even has integrated math through the scoring in the intermediate grades. The gym was transformed into cosmic bowling on Monday and Tuesday. Each student received glow sticks and bowled by disco ball lighting. In kindergarten, the classroom has a new addition of an incubator and soon there will be newly hatched chicks. Ask your kindergartener how many days it will take until the eggs are hatched. In the LRC Mrs. Dainko has taken students on virtual field trips with the use of the district provided Google Expedition. There are so many learning opportunities left for the remainder of the year. 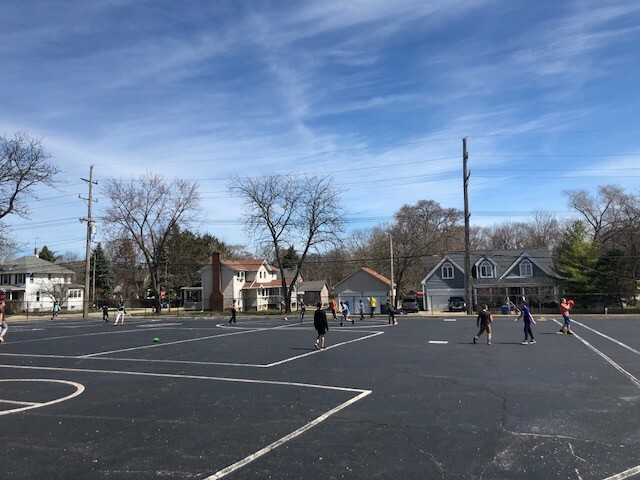 As the weather warms up we want to ensure that we continue to learn and stay focused on our lessons. Please talk to your son or daughter about wrapping up the final few months of school with dedication and hard work. 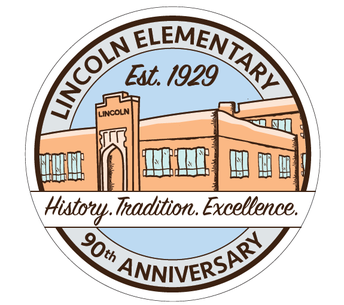 Please check out our school Facebook and Twitter feed to get a window into what is going on at Lincoln. We are getting closer to the Band Launch Party and Instrument Trials! For some families this may be your first D303 band experience and for others you may be seasoned veterans. Either way, I wanted to include some information about our district program to answer any questions that may arise. When do students have small group technique lessons? Students have a weekly small group technique class. Students are placed in small groups (2-4) according to instrument. In this class we work on instrument specific techniques and skills. These technique lessons occur during the school day and rotate times throughout the trimester. With the rotation students do not miss the same class every week. The days for morning rehearsals are tentative at this point. The morning rehearsal is 60 minutes and combines all musicians and we work together to prepare for performances. Rehearsals begin in September and continue through the school year. I hope to announce the exact rehearsal days by the end of this school year. There are different philosophies and approaches to practicing. One way is to have a set amount of time. At the beginning of the year 5-10 minutes 3-5 days a week is appropriate. Another approach to practice is using goal setting. For example, “ I will practice until I can play the correct rhythm for song #4.” It will be different for each individual. The key is just practice. The more effort put into practicing the more fun comes out of it! Many families rent an instrument. Some have instruments from family members or friends. Some purchase instruments (though please make sure that you check the quality and repair options. Some repair shops will not repair certain instruments). The district also has a limited number of certain instrument available for rental-these are instruments are for students who play the tuba or for families that qualify for free/reduced lunch. Are there any fees associated with band? The district charges a $40 fee. Families that qualify for the Free/Reduced program will be charged accordingly. If your child also participates in orchestra it is $40 for both band and orchestra. Can my child be in both band and orchestra? Yes! I work closely with the orchestra teacher to make sure that a student can participate in both groups. Please contact me should you have more/specific questions. 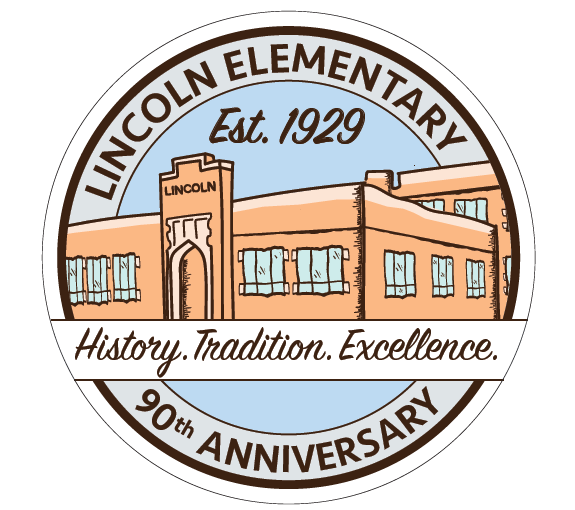 Lincoln School is working with Bernie’s Books to collect children’s books for an all-school book drive. Bernie's Book Bank collects quality children’s books from birth through 6th grade. These books are redistributed to students throughout the area. Please bring in new and gently used books to the donation bins in the main entrance. DO NOT bring in adult books, young adult books and textbooks. The drive ends next Friday, April 19th. Thank you, in advance, for your generosity! 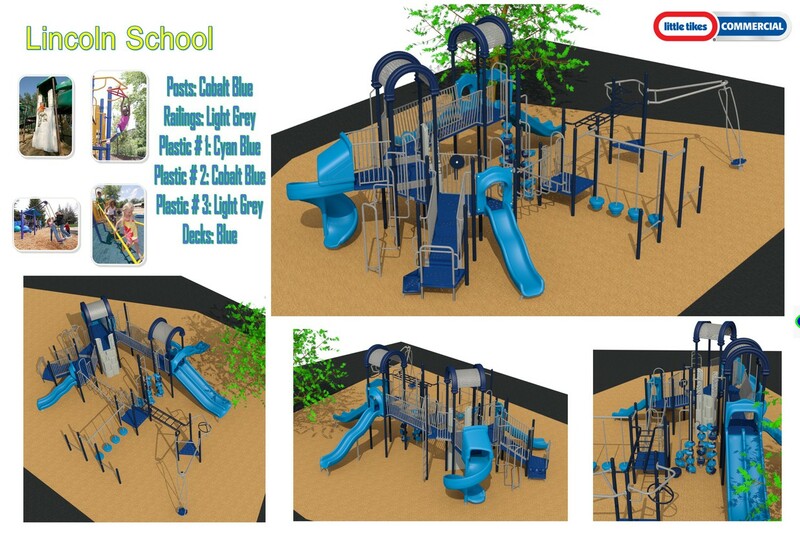 Lincoln students were involved in voting for the colors of our new playground we will have installed this summer.